This past weekend, we had my family come to town to attend one of the most exciting events there is, other than the wedding itself – WEDDING DRESS SHOPPING! My mom, maid of honor, sister-in-law and niece went with me to a couple of local wedding boutiques. 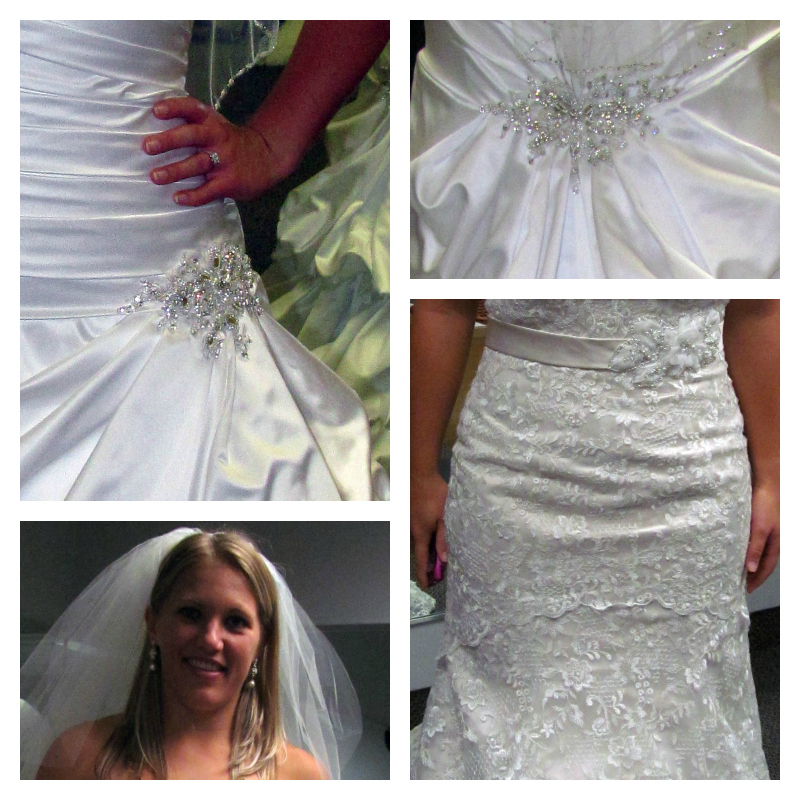 After my wonderful weekend, I have a few wedding dress shopping tips to share. I prepared for wedding dress shopping by browsing online and printing pictures of my favorite dress styles to give the attendants an idea of what I like. I did my hair and makeup as if I was going out so when I was looking in the mirror I was getting the full picture of what I would look like on our wedding day. And lastly, I brought a camera with to take photos of me in the dresses (some places may not allow this, but my reasoning was that wanted be sure I liked how I looked in the photos before I was going to buy the dress). We arrived at the boutique and everyone there was so excited!. My consultant was waiting for me with a big smile, and she got us situated in a fitting room immediately. She showed us around the boutique and then asked us to start picking some dresses in my style. It was slightly overwhelming, but SO much fun! Once I got to try some on, it was even more fun. We went through quite a few and separated them into maybe’s and no’s. Then we went through all my ‘maybe’ dresses again. We had some amazing contenders, but once I put on the last ‘maybe’ dress I fell in love! It fit me perfectly. I absolutely loved everything about it! I confidently, excitedly said, “YES!” to this dress! I was walking around in circles. I was dancing. I was sitting. I can’t wait to walk down the aisle in this dress. And I highly recommend all of my wedding dress shopping tips, since they worked so well for me! Visit our wedding collection to see wedding invitations, personalized wedding decorations, wedding favor tags and more! And be sure to look for more wedding ideas on our blog.